An Idiots Guide to Ice Hockey – Maple Bacon Please! 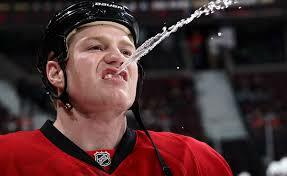 This week we have been on an Ice Binge and I am talking about a drug, the drug of Ice Hockey. Canadian’s are well and truly addicted to Ice Hockey! In the last week, we have been to the Ice Hockey Hall of Fame , been to a Toronto Maple Leafs Game, watched ice hockey games on Television it’s never not on, heard countless commentators talk about various games and my very favorite a reality TV show called Hockey Wives. Tomorrow we will round off our week by going to yet another game at the Air Canada Centre this time a World Legends Classic game between two Old Cougar Teams, Team Gilmore and Team Bure. The youngest player is in his 40’s and the oldest player in his 60’s so I hope they have an ambulance idling outside the arena on standby because more than likely it will be needed. 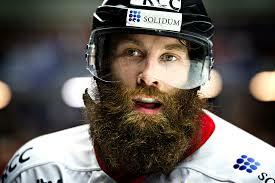 Ice Hockey deserves several posts but here is my idiots guide to Ice Hockey…………. 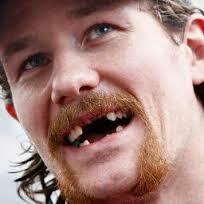 2/ Despite the fact that Ice Hockey players in the NHL look like Ice Addicts they earn the big bucks so can afford to go to the dentist at the end of the season and buy a million dollar smile. 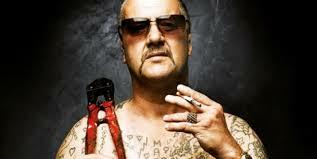 4/ They love to brawl, when they do it’s glove’s off and will end with someone “on the blood”. 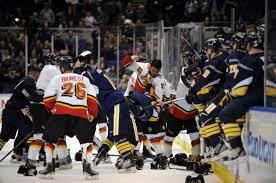 It’s such a team sport that “one in all in” means the rest of the team will follow and get involved in the brawl. Mostly they look like really rich homeless guys. 5/ They love a bit of Organ so play this song throughout the game. 6/ They also play other music to get the crowd and players pumped, this playlist usually consists of snippets of surprisingly many Australian Bands including anything by AC/DC and Wolfmother’s – Joker and the thief. Gun’s n Roses – Welcome to the Jungle, Ram Jam – Black Betty, Queen’s – We will rock you and anything by KISS is also usually played. 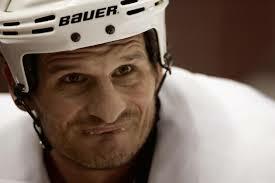 Lately, I have been thinking about having piano lessons so I can get a job as the organ grinder at Ice Hockey games. 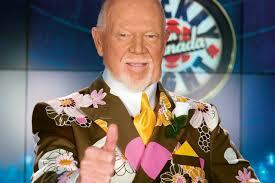 7/ Saturday night is Hockey Night in Canada. It started in the 1930’s when they would broadcast the weekly game on the radio. In the 70’s it debuted with a weekly game on TV and despite the fact that at least one, if not many games can be found on TV daily, Saturday night is still known as hockey night in Canada. 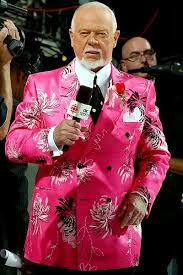 The best Ice Hockey Commentator is Don Cherry. His nickname is Grapes – Get it? Cherry/Grapes……………….. 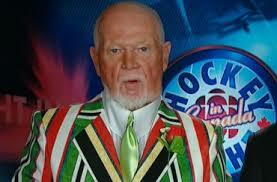 I love it when Don Cherry comes on the screen due to his fantastic fashion sense and amazing all year round tan. 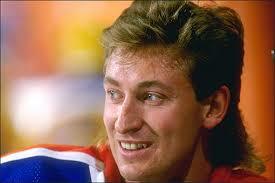 8/ If Ice Hockey was a religion in Canada then they would worship Wayne Gretzky. 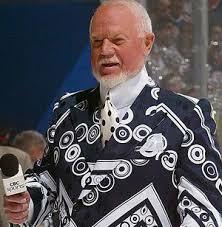 He is the legend of Ice Hockey in Canada, Why? I’m not sure, I just asked my husband and he said, “google it” because it’s cocktail hour I can’t be bothered so will leave it to you to do! 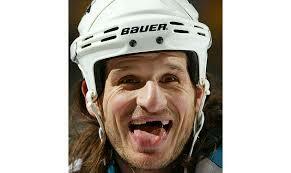 Personally, I think he is a legend because nobody rocks a mullet like he does. Niagara Falls and the crazy cat lady. 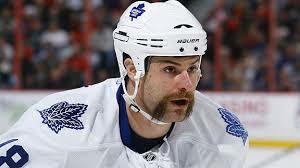 Pingback: The Toronto Maple Leafs | Maple Bacon Please! ooh! ooh! yer sum-1 else with a “hockey” category! and WHO duzzn’t like maple baykin??! I hope you didn’t lose your teeth in the fight. well, “the fight” was not a (very) real one. there is a sort of tradition in the league i’m goalie in, that if “the college kids” (yes, the “old man’s (and women) league” allows some college kids …) (repeat): the college kids and i have a sort of tradition where if one scores 2 goals on me, he (usually “he”) holds up two fingers to taunt me. next goal, the gloves come off! Pingback: An Insiders Guide to Ice Hockey – Maple Bacon Please!